Caffeine is the world’s most commonly consumed psychoactive substance. It functions as a central nervous system stimulant, meaning it affects neural activity in the brain and increases alertness while reducing fatigue. If the body becomes dependent on caffeine, eliminating it from the diet can cause withdrawal symptoms that typically begin 12–24 hours after stopping caffeine. Caffeine withdrawal is a recognized medical diagnosis and can affect anyone who regularly consumes caffeine. Here are eight common signs and symptoms of caffeine withdrawal. 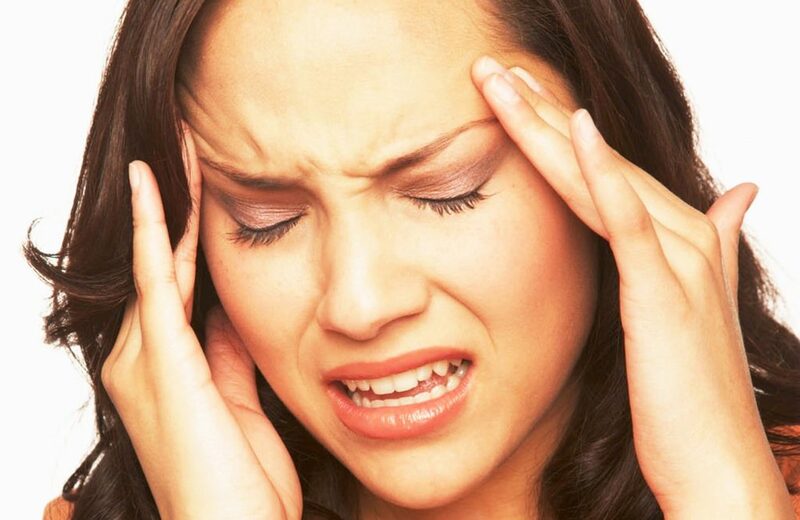 Headaches are among the most commonly reported symptoms of caffeine withdrawal. Caffeine causes blood vessels in the brain to constrict, which slows blood flow. One study found that just 250 mg (less than three cups of coffee) can reduce cerebral blood flow by as much as 27%. Since caffeine consumption causes blood vessels to narrow, reducing or stopping intake allows blood vessels to open up and increases blood flow to the brain. This sudden change in blood flow can cause painful withdrawal headaches that can vary in length and severity as the brain adapts to the increase in blood. Headaches will subside as the brain adapts to this increase in blood flow. Even though caffeine withdrawal can cause headaches, caffeine is used to treat certain types of headaches like migraines. Caffeine helps enhance the power of pain-relieving medications and reduces headache pain when consumed on its own. Many people depend on a daily cup of coffee to give them an energy boost. Caffeine helps increase alertness and reduce fatigue by blocking receptors for adenosine, a neurotransmitter that can make you feel drowsy. This is also why it has been proven to enhance athletic performance, improve energy and reduce chronic fatigue. However, eliminating caffeine from your diet can have the opposite effect, causing drowsiness and fatigue. For example, a study in 213 habitual caffeine consumers demonstrated that abstaining from caffeine for 16 hours caused increased feelings of fatigue. What’s more, those who consumed caffeine daily had more severe withdrawal symptoms, including fatigue, than those who only consumed it a few times a week. Additionally, its energizing effects only last in your system for about four to six hours, which may lead you to reach for multiple cups of coffee or energy drinks throughout the day to maintain alertness. This can lead to excessive intake of and dependence on caffeine and make withdrawal symptoms much worse. Caffeine is a stimulant that increases heart rate, blood pressure and the stress hormones cortisol and epinephrine. In people who are sensitive to caffeine, just one cup of coffee can cause them to feel jittery and anxious. While consuming caffeine can cause feelings of anxiousness, cutting it out can cause this side effect as well. Anxiety is a commonly reported symptom in people who withdraw from regular caffeine consumption. The body can become mentally and physiologically dependent on it, causing feelings of anxiety. Plus, if you consume the majority of your caffeine in the form of soda or sugar-sweetened coffee, the sudden reduction in sugar may make caffeine withdrawal-induced anxiety even worse. Animal studies suggest that suddenly removing sugar from the diet after a long period of sugar consumption can cause symptoms of anxiety. One of the main reasons that people choose to consume caffeine in the form of coffee, tea or energy drinks is to boost concentration. Caffeinated beverages are commonly consumed before tests, athletic events or presentations to improve focus. Caffeine increases levels of adrenaline, a hormone produced by the adrenal glands as part of the body’s normal reaction to stress. It also boosts the activity of the excitatory neurotransmitters dopamine and norepinephrine. This combination of reactions raises heart rate and blood pressure and stimulates the brain, causing increased alertness and improved focus. Phasing out caffeine can negatively impact concentration as your body struggles to become accustomed to functioning without it. Caffeine is well known for its ability to elevate mood. Its ability to block adenosine not only increases alertness but also has been found to improve mood. One study in people who consumed caffeine regularly found that consuming 0.68 mg per pound (1.5 mg per kg) of body weight led to a more positive mood, compared to a placebo . Additionally, many studies have linked regular caffeine consumption to a reduced risk of depression. For example, a large study in over 50,000 women found that women who drank four or more cups of coffee per day had a 20% lower risk of depression than women who drank little or no coffee. The stimulant effects of caffeine can lead to feelings of well-being and increased energy, which go away when caffeine intake ends. For this reason, your mood may take a hit if you decide to quit caffeine. It’s common for regular coffee drinkers to be cranky before their morning cup of joy. The caffeine in coffee may be the culprit for this feeling of irritability. Because coffee only lasts in the system for four to six hours, withdrawal-like symptoms like irritability can occur after a night’s rest. Coffee drinkers are used to the mood-enhancing effects of caffeine, as well as the shot of energy they receive. For some, weaning off caffeinated beverages like coffee causes them to become irritable and moody. In fact, it may be difficult for heavy caffeine users to cut back on the amount they are accustomed to without negatively impacting their mood. In a study in 94 caffeine-dependent adults, 89% of participants reported that although they desired to cut back on caffeine, they had been unsuccessful in their efforts due to withdrawal symptoms, including irritability and anger. Though not as common as other symptoms, those who have a serious dependency on caffeine can experience tremors in cases of caffeine withdrawal. Since caffeine is a central nervous system stimulant, common side effects of drinking too much include feeling jittery or anxious and having shaky hands. In fact, those with anxiety disorders are often advised against consuming caffeine to avoid worsening feelings of anxiousness. However, for people who consume large amounts of caffeine daily, quitting cold turkey can also lead to tremors. Tremors related to caffeine withdrawal typically occur in the hands and should only last for two to nine days. If you are experiencing hand tremors that last longer than nine days, consult your doctor to rule out other causes. Most everyone who consumes caffeinated beverages and foods is looking for a way to improve lagging energy levels. Lifestyle factors like poor sleep, demanding jobs and unhealthy diets can drain energy, causing many people to reach for external sources of energy like coffee and energy drinks to revive them. Caffeinated beverages are often used as a crutch to deliver the energy needed to make it through the day or compensate for lack of sleep. Sipping on a cup of coffee or energy drink boosts concentration, increases heart rate and increases blood sugar, leading to feelings of increased physical and mental energy. These desired effects can lead to caffeine dependence, causing the need for more and more caffeine to produce the same energy boost. This is why low energy is a common complaint of people who are reducing or eliminating caffeine. Symptoms of caffeine withdrawal should only last between two and nine days, with peak intensity of symptoms occurring 24–51 hours after caffeine is cut out. While these symptoms are usually short-lived, they can be uncomfortable and make life difficult. Fortunately, there are ways to reduce the chances of experiencing these unpleasant side effects. Try the following tips to reduce or completely avoid symptoms of caffeine withdrawal. Cut back slowly: Quitting cold turkey can shock the body and make withdrawal symptoms worse. Gradually weaning off caffeine can reduce the chances of experiencing unpleasant side effects. Reduce caffeinated beverages: If you’re used to drinking full-strength coffee, start drinking half-decaf, half-regular coffee to slowly reduce your dependence. 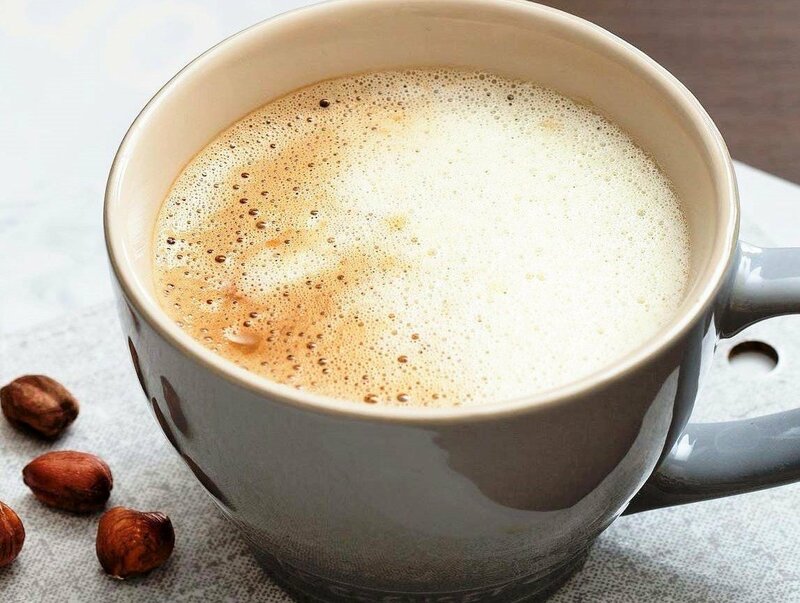 Even better, swap one of your coffees for a decaf herbal tea. Stay hydrated: Drinking enough water is crucial when cutting out caffeine. Dehydration can worsen symptoms of withdrawal, such as headache and fatigue. Get enough sleep: To combat fatigue, try getting the recommended seven to nine hours of sleep per night. Boost energy naturally: If your energy levels have taken a hit after giving up caffeine, try incorporating natural sources of energy like exercise, nutrient-dense foods and stress reduction techniques into your routine. Caffeine is a widely consumed stimulant that can cause withdrawal-like symptoms in some. Caffeine withdrawal can occur in anyone who regularly consumes caffeine and then abruptly discontinues its use. Common symptoms include headache, fatigue, low energy, irritability, anxiety, poor concentration, depressed mood and tremors, which can last anywhere from two to nine days. Thankfully, there are ways to reduce these symptoms, including cutting back on caffeine gradually, staying hydrated, getting plenty of sleep and finding ways to naturally boost your energy. Although caffeine withdrawal may seem unbearable at first, this temporary reaction is just a bump in the road to limiting your dependence.